Seasons change. With the blossoming new energy of spring it is an awesome time to move our bodies and shake off the anxiety and stress of the past. 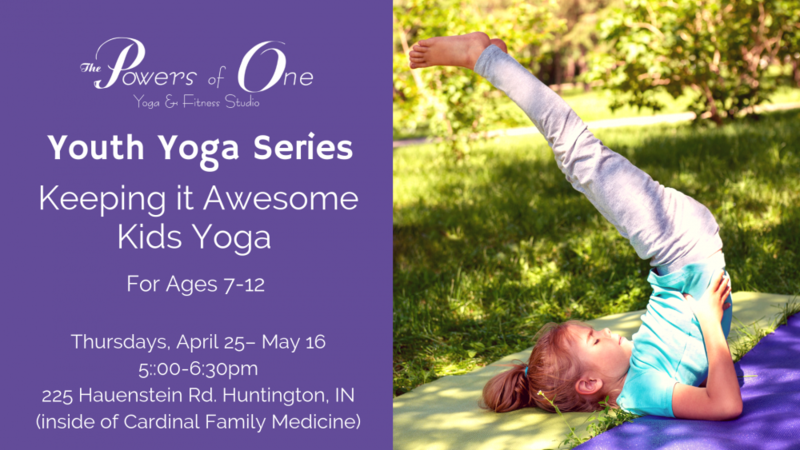 This four week yoga series for kids is built as a companion to *Anxious to Awesome™ to help kids feel confident using tools from yoga for self-regulation, self-awareness, and social interactions. Each class will draw inspiration from the energy of spring to help us feel connected to the earth, sun, grass, and trees to bring out the best in each of us. Students will learn classical hatha yoga poses with age appropriate integration activities and relaxation. Appropriate for ages 7-12. *Participation in Anxious to Awesome™ is not a pre-requisite. Click here to register! --> The 3rd in the Awesome Kids Yoga Series "Awesome NOT Anxious Kids Yoga: Facing New Challenges in Fall" will be coming in Fall2019! Stay tuned!